Since the streets of Paris are calling my name, I won’t take too much time providing an explanation for this recipe. However, this smoothie has become one of my absolute favorite afternoon treats. Coffee is not something I have every morning anymore. Instead, I use Dandy Blend which is a lot better for my digestion, gut health and hormonal health. However, I find that having some cold brew in the afternoon once in a while is perfectly okay, especially when I have it within the context of this smoothie. I find the protein and fat helps me digest everything better. 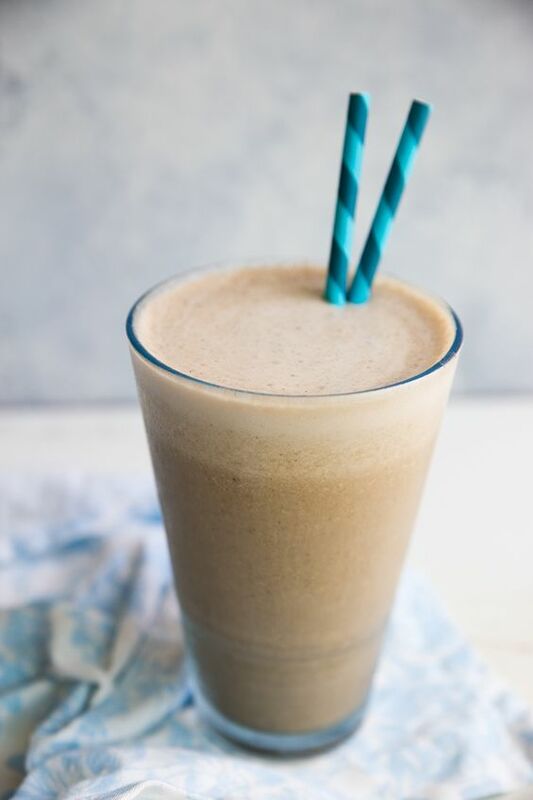 Because I am so obsessed with this Paleo Dairy Free Protein Frappe, I wanted to give you all the opportunity to win all of the delicious ingredients! 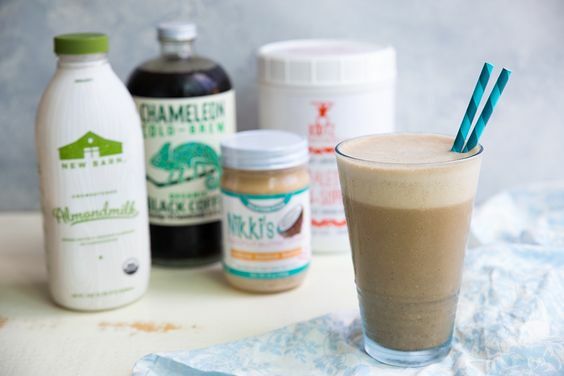 Check out the recipe below and enter for your chance to win some New Barn almond milk, Rootz Protein Powder, Chameleon Cold Brew Coffee and Nikki’s Coconut Butter! Combine all ingredients in a high powered blender and blend until fully combined and frothy. Ready to go ahead and get my Vitamix. Thoughts on the difference between them? Looking fwd to trying this recipe, probably in my old fashioned blender for now. I love chameleon and new barn, and this combo sounds out of this world! Enjoy Paris! I made this and it’s great! Any tips to make the coconut butter smoother? Mine was a little chunky. Was it chunky in the smoothie? Normally mine is a little hard too but it blends up well in the smoothie. If you place the jar in a bowl of warm water that can help loosen it up a bit too. It’s just like coconut oil, it becomes liquid in warmer temps. If it was chunky in the smoothie, I would probably suggest looking into a high powered blender. I link to mine in the post!